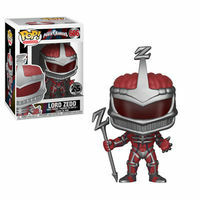 Saban’s Power Rangers is celebrating 25 years of action packed superhero television fun and Funko is excited to announce a new batch of Pop! figures! In the latest series, you can collect the nemesis and archenemy of the Power Rangers – Rita Repulsa, alongside villain Lord Zedd, and under their command Goldar makes his Pop! debut. Legal Notice: Entire contents trademarked (® or TM) and copyrighted (©) 1986-2019 by Things From Another World, Inc. and respective copyright and trademark holders. All rights reserved. Page rendered at 2019-04-19 01:32:45 in 0.262 seconds.